Tonight, we’ve come to the end of the series, A Chef, a Wife and a Child. Thank you for all the emails and comments as you’ve shared with me and my readers your joys and struggles about raising a family with a chef. Tonight, it’s my turn to answer the 5 questions. 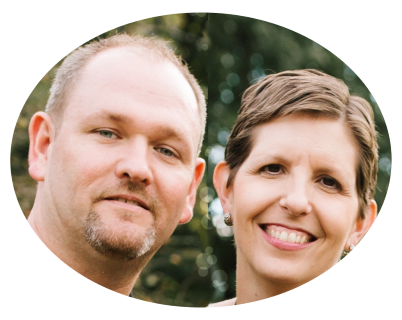 . .
Tell me a little about yourself and your spouse. My name is Jennifer and I’ve been married to my chef/husband for 19 years. 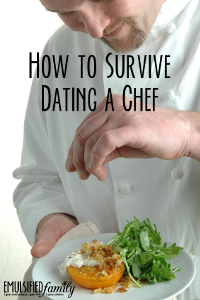 My husband started working in a professional kitchen about 6 months after we got married. 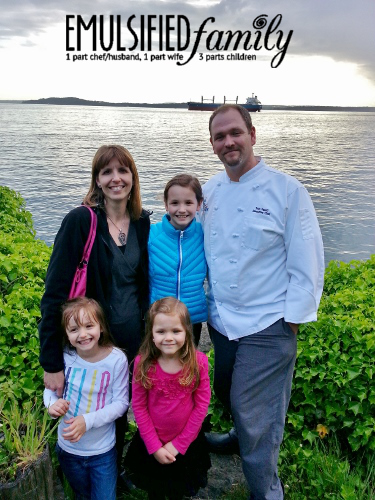 He is now an Executive Chef/Culinary Directory for a restaurant group in Seattle and I stay home full time with our girls. I do a little website development and blogging from home as I have the time. I was originally thinking this week I would be sharing my answers to these questions and ending this series, but I had a last minute volunteer so how can I say no to that??? I’d like to introduce you to Rups. She’s from India, but currently lives in the United Kingdom. (I love that technology can connect us from all over the world) and she’s sharing her answers to my 5 questions. 🙂 Yeah! Having a child with a chef . . . crazy . . . I know. I’ve received so many emails throughout this series from so many chefwives saying how they can somehow relate to what one of us has shared. Funny how you can instantly feel a bond with a total stranger because the circumstances in their life are so similar to yours. I love how technology can help us connect and not feel so alone!! Today, I’d like to introduce you to another chefwife and Mom, Andrea. 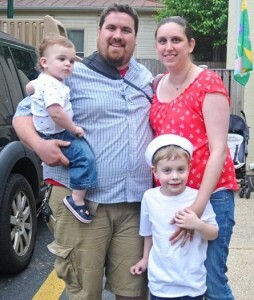 For my next guest in the series, a Chef, a Wife and a Child, I’d like you to meet Kerilyn Russo. 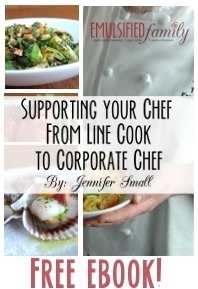 I’m sure many of you are familiar with her site MarriedToAChef.com. 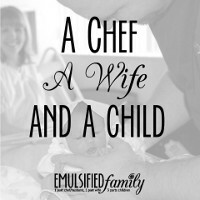 She and her husband have a new little one and I’m so happy she was willing to share with us about life as a mom AND being married to a chef.